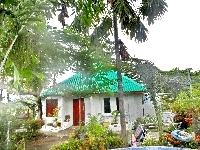 Welcome to our selection of holiday homes to rent in Thailand. Thailand is a country located in south east Asia. It is bordered by Burma to the north, Cambodia to the east, Malaysia to the south and the Andeman Sea to the west. It's capital city is Bangkok and the current monarch is King Bhumibol Adulyadej who has reigned since 1946. The area of Thailand is about 198,000 square miles and the population stands at around 64 million people. While Thai is the nationally dominant language, English is widely understood. Reportedly 95% of the population practice the primary religion of Buddhism. Thailand was a relatively poor country until the 1980s when it became newly-industrialised. Popular tourist destinations such as Bangkok, Phuket, Chiang Mai and Krabi have all contributed to this recent surge of economic growth. The weather in Thailand is definitely for those who enjoy it hot. The cool season runs from November to February and this is the most popular time for British holidaymakers; preferable to the hot season or the rainy season. The range of flora and fauna in Thailand should prove exciting for any British tourist. From elephants and bears in the northern forests to whale sharks in the ocean, the long spread of the land from north to south covers different temperate zones to allow for a greater range of species. Looking for self catering holiday accommodation in Thailand? 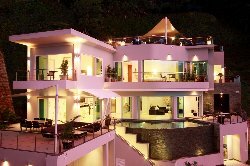 then below is a selection of villas in Thailand and apartments in Thailand that can be rented direct from their owners. You can either click on each listing for further details or you can use our search engine on the left if you are looking for something in particular.